Before a doctor or any other kind of medical practitioner can treat you, they must have your consent. 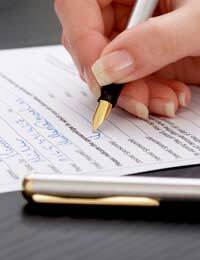 Although you can often be asked to sign a medical consent form, this is more to safeguard you. The term ‘informed consent’ is one which you’re most likely to become familiar with. In essence, ‘consent’ can be given verbally or in writing although in cases where things like sedation or anaesthesia are going to be administered, you’ll often be asked to sign a medical consent form. However, it’s important to remember that even though you may have put your signature to consent to a particular treatment or procedure, you are able to withdraw your consent before the procedure takes place should you decide to do so. It is the legal duty of the person who is going to be treating you to give you as much information as possible as to the procedure or treatment in question. This must also include telling you about any pain implications or about possible risks or side effects as well as discussing any possible alternative treatment. They can certainly recommend one particular course of action over another. However, the final decision as to whether or not you give your consent or sign a consent form remains in your control entirely. You should feel free to ask as many questions of a consultant as you wish – no matter how bizarre the questions might be or how awkward they make you feel. When it comes to giving your consent or signing a medical consent form, the more knowledge you have as to what’s involved, the more likely you will feel more at ease. Even if the consultant is unable to answer your specific questions personally, they should take on the responsibility of finding out the answer and get back to you. When you are visiting the consultant to discuss treatment, you are perfectly entitled to take somebody along with you such as a close relative or friend. They are also allowed to ask the consultant questions. However, in giving informed consent, it can only be you, yourself, that either gives verbal or written consent. Consent, therefore, is only acceptable if you have acted of your own free will and that you’ve not agreed to treatment due to any external influences or pressure exerted by another person. If there is any aspect of the proposed treatment that you don’t want to happen, it’s important that you let the consultant know. It’s also important that you speak openly and honestly about any illnesses, treatments or allergies you may have or have had in the past. Failure to do that might compromise your treatment. When it comes to the law on children and informed consent, English law assumes that you are an adult when it comes to medical treatment if the consultant treating you judges that you are capable and mature enough to make your own decisions. Therefore, there is no rigid age at which you are deemed capable of giving your consent or signing a medical consent form. Judgments about this will be determined by the consultant based on the nature of the procedure involved and whether or not they deem that the child in question is old enough to understand the treatment and any implications thoroughly to be able to give their legitimate informed consent. There are also different laws surrounding giving informed medical consent in the case of mentally ill people and those who are suffering from other illnesses in later life, those suffering from dementia, for example. The Department of Health has published a leaflet which explains the law about informed consent in more detail which you can download online or you can obtain a copy from your local GP or hospital.